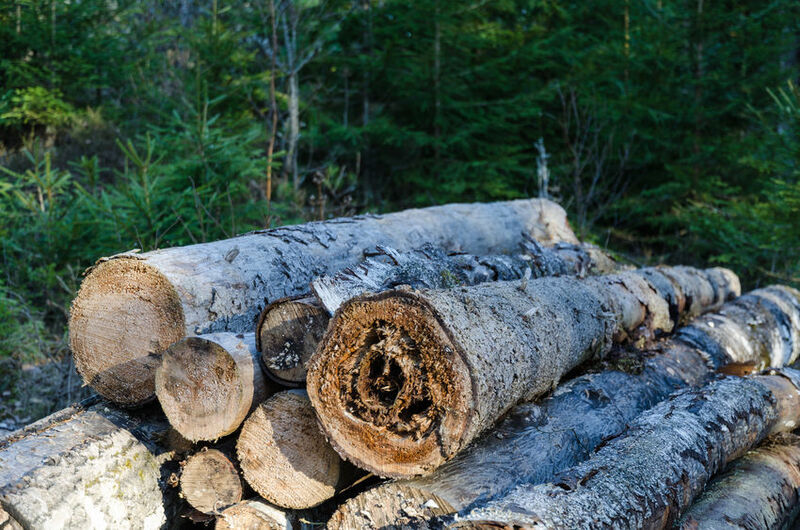 Rotten Firewood - Should You Burn It? Whether you buy firewood from a dealer or cut it up yourself, chances are you've come across a piece or two of rotten firewood. Should you burn this rotten or punky wood? Compared to solid, well seasoned firewood, the rotten wood is definitely less desirable. Although it might not burn as well, some firewood that has a small amount of rotten material can still be used. One important thing to consider is where the rotten material is at. Is the firewood rotten in the middle heartwood? Or is the outer sapwood rotten? The difference between the two could dictate whether or not you want to use it. Some trees like oak can lay on the ground for a while and still be okay to use. The outer edge of the wood known as the sapwood will become punky or rotten, but the inner heartwood remains solid. Generally, if the heartwood is still solid a little rotten sapwood on the outer edge will not render the wood useless. If you're out cutting firewood and you cut into a log that is rotten in the center, chances are you should just leave it. Rotten firewood contains a lot of moisture. The rotten wood soaks up water from the ground and atmosphere like a sponge. Wet wood will smolder and smoke potentially causing creosote to build up on the inside of your chimney. Never bring rotten wood into your house. The decaying material inside the wood is probably full of insects. When you bring the wood into your warm house, you increase the chances of these insects invading your home. Firewood that contains rotten heartwood produces less BTU's than good quality firewood. The fungi growing inside the wood have decreased the properties that allow the wood effectively burn. If you buy firewood make sure it's solid. If you buy a lot of firewood, it's not uncommon to have a few pieces that are a little spongy. A couple of spongy pieces are probably fine, but if several pieces are bad you should consider buying different wood or at least receive a discounted price. If you come across firewood that only has rotten material on the outer edge, make sure it's dry and mix it in with other higher quality wood. If the entire piece of wood looks rotten, especially the inner heartwood, don't use it.